The NRCM Rising Leadership Team helps provide ideas, energy, and momentum to NRCM Rising. The Leadership Team acts as an advisory board to NRCM Rising staff across the full range of NRCM Rising activities, including events and initiatives aimed at connecting young people who care about Maine’s environment to each other, to high priority environmental issues, and to special places across the state. 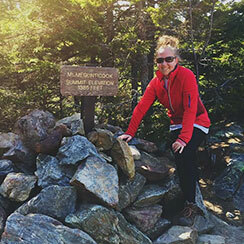 Erin Walter, Sabattus Originally from Kentucky, Erin discovered her love of wild places the first time she visited Acadia National Park, and decided to take a full-time adventure when she moved to Maine in 2013. She spends her free time birding, hiking, and kayaking all over the state, and loves exploring new places. Erin earned a B.A. in English Literature from the University of Cincinnati, and after deciding against a lucrative career as a barista, started working in project management and technology-focused operations and marketing communications. 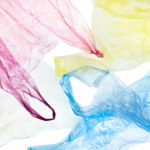 She has worked on many community and nonprofit-focused campaigns for fundraising, loyalty, and membership enrollment, and volunteers with multiple organizations in the community for children and the environment. 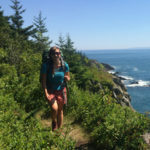 Erin is very excited to be working with NRCM Rising to combat the threats to our natural resources on the state and local levels, and hopes to get more young people involved in the outdoors and working together to protect Maine’s natural resources. Ethan Tremblay, Falmouth Ethan spends his weekends hiking or paddling as many of Maine's mountains and rivers as he can find; his evenings experimenting in the kitchen or restoring wooden boats; and his workdays consulting on data management and program evaluation for energy efficiency program administrators. 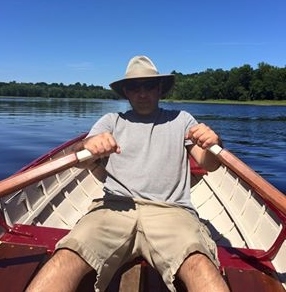 He brings experience in fundraising and community organizing from his time leading Bangor Greendrinks, and a passion for environmentalism fostered by his upbringing in some of the most wild parts of Maine. Ethan attended the University of Maine, where he earned a B.A. in economics and journalism and an M.S. in resource economics and policy. He considers himself extraordinarily lucky to live in the state with the largest undeveloped forest east of the Mississippi, and even more so that he gets to share it with some of the nicest folks around—including his shepherd mix, Annie. Jenny Kordick, Peaks Island Jenny brings experience in campaign management and strategy, environmental advocacy, and outreach to the NRCM Rising team. She is the Advocacy Director for The Wilderness Society’s energy and climate team, which works to make federal public land policy part of the climate solution. Prior to joining TWS, she worked in Washington, DC, for the National Wildlife Federation and Sierra Club helping to develop and lead national campaigns to act on climate and protect public lands and waters. Jenny enjoys running, kayaking, and eating oysters. She moved to Maine in 2017 to be closer to nature and to enjoy life the way it should be. She is excited to meet new leaders in the field and support Maine’s thriving environmental community with NRCM Rising. Jesse McMahon, Arrowsic Jesse is a content producer for the hit PBS KIDS animated series, Nature Cat. 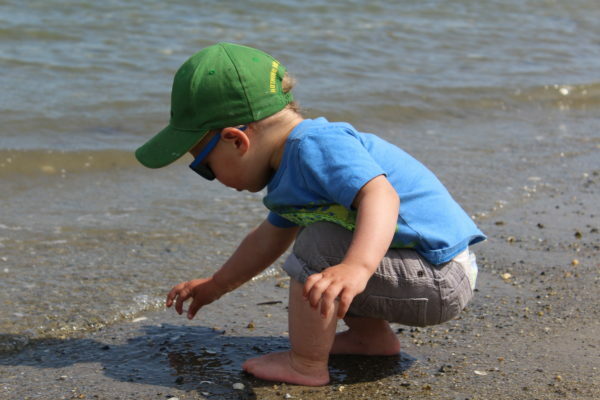 The show motivates young children to go outside and connect with nature (wherever they may live) in hopes of inspiring the next generation of environmental stewards. Prior to her work in television, Jesse worked as an independent communications consultant and freelance reporter. Her byline (under her maiden name) has appeared in The Boston Globe, ProPublica, and The Initiative for Investigative Reporting at Northeastern University, among other media outlets. Jesse has a B.S. in industrial and labor relations from Cornell University, and an M.A. in journalism from Northeastern University. Regarding climate change as the pivotal issue of her generation, Jesse plays a hands-on role on the Leadership Team advocating for pro-environmental policies, and helping to cultivate dialogue with young people around the state on ways they can participate in protecting Maine’s greatest asset—its wild places and natural beauty. 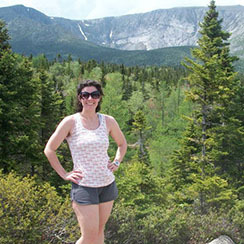 Jesse has lived in Maine since 2011, and now resides in Arrowsic with her husband, two dogs, and eight chickens. Jesse loves being on the water whether it’s kayaking, boating, sailing, or simply floating. She also enjoys hiking, gardening, snowshoeing, and walking in the woods with her two pups. Jeremy Vroom, Hulls Cove Jeremy grew up in Bangor, and graduated with a B.A. in Geography and Art from University of Maine at Farmington. 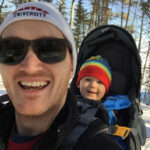 Since then he has worked numerous jobs in the tourism and outdoor industries around Maine, such as a ski coach, camp counselor, and for Sugarloaf’s marketing department. 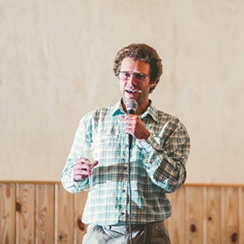 He currently works as a Softgoods Buyer for Cadillac Mountain Sports in Bar Harbor, while also working on a MBA. 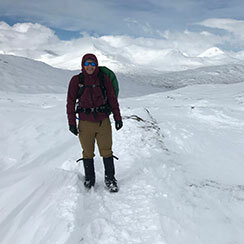 Being passionate about outdoor pursuits, and being able to make a living because of Maine’s recreation opportunities, he sees NRCM’s work for the environment and public lands as critical to keep Maine’s outdoor economy strong. 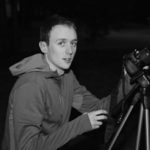 In his free time he enjoys photography, drawing, skiing, biking, and taking full advantage of Acadia National Park being in his backyard. Kelly Corbin, South Portland Kelly brings experience in environmental education, ecological landscape management, and communications to the NRCM Rising team. She holds a Master’s degree in Ecological Design from The Conway School as well as a Master’s in Environmental Studies from Antioch University New England. 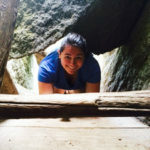 Kelly currently works as a freelance grant writer and volunteers for local organizations such as the Wild Seed Project and the Fort Williams Park Foundation, both of which work to restore native plants to Maine habitats. Kelly is excited to work with the NRCM Rising team because of her great love of all things outside and her passion to create a “Local Ecosystem movement” where citizens understand the ecology around them and how it shapes their lives. She strongly believes in the great work NRCM does and is excited to get more people involved with protecting their environment. 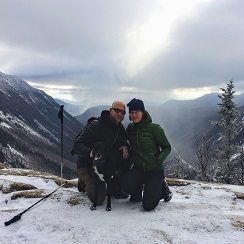 Kelly also plans and designs native plant gardens, hikes, runs, rock climbs, reads, sews, and appreciates life with her husband and dog in South Portland. Lucy Brennan, South Portland Lucy calls South Portland home, where enjoys a quick walk to work as the Sustainability Program Coordinator for the City. Established in 2015, the Sustainability Office develops policies and practices that promote a healthy environment, economic wellbeing, and strong community partnerships. She has marveled in the opportunity to impact her local community through energy efficiency, waste reduction, solar, and climate adaptation programs. 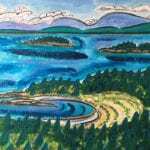 Prior to this work, Lucy was an Annual Giving Coordinator for her alma mater, Bates College, where she earned a degree in Environmental Studies as a student. Beyond the classroom and the office, her value of a shared outdoor experience drove her to lead a cross-country bike trip for high school students from Charleston, South Carolina to San Diego, California. 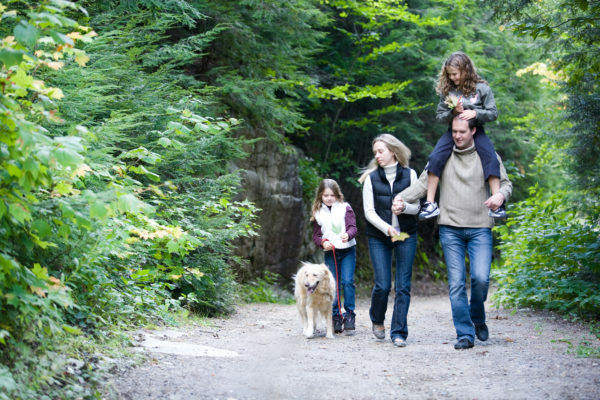 She begins most mornings with a run outside, (rain, snow, or sun) and marvels in any opportunity to spend time with family or friends in fresh air. Lucy is energized by the very important work being done at the state and local-level by NRCM to touch all Mainers and hopes to share that enthusiasm through NRCM Rising. Ryan Linn, Portland Ryan grew up in Belfast and eventually settled in Portland. Somewhere along the way he found the mountains of northern New England were some of the few places he could truly relax and gather his thoughts. After hiking the Appalachian Trail and Pacific Crest Trail, Ryan started Guthook Hikes to make smartphone-based hiking guides as a way to share the joy he finds in hiking all over the country. 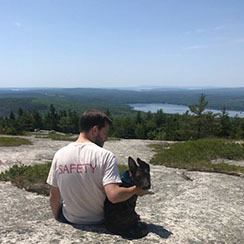 Ryan joined NRCM as a member when he learned about NRCM’s work to protect Maine’s public reserved lands, since Maine has so many wild places yet so little public land. 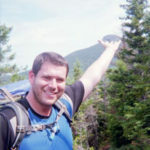 When he is not working on Guthook Hikes projects, Ryan can be found hiking and camping in Baxter State Park. Yvette Meunier, Topsham Yvette brings experience in sustainability, environmental policy, advocacy, and marketing to the NRCM Rising team. 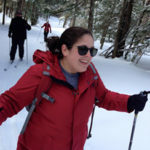 Currently a Promotional Coordinator for the Department of Agriculture, Conservation and Forestry, her previous experience includes working on Maine’s Bottle Bill, wastewater permitting and working for a solar company. 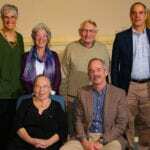 She currently serves as a Trustee on the Brunswick Topsham Water District Board and worked with Bring Your Own Bag Midcoast to pass single-use bag ordinances and Polystyrene bans in Brunswick and Topsham. 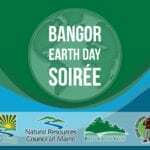 She holds a BA in Geosciences and a Master’s degree in Sustainable Development from the University of Southern Maine. Yvette is excited to join NRCM to inspire and build confidence in the next generation of environmental leaders to engage policy makers, industry leaders and lobbyist on environmental issues that will shape our future. 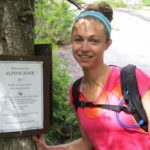 In her free time, she enjoys overnight kayaking adventures on the Maine Island Trail, road biking to farmers’ markets, and plogging. Mike Williams, Cumberland Mike is the Vice President of Strategic Development for the BlueGreen Alliance. 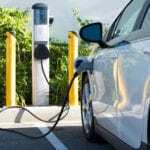 The BlueGreen Alliance unites America’s largest labor unions and its most influential environmental organizations to identify ways today’s environmental challenges can create and maintain quality jobs and build a stronger, fairer economy. Mike has helped advance the BlueGreen Alliance’s positions on energy and climate change, renewables, manufacturing, energy efficiency, and green schools. Prior to joining the BlueGreen Alliance, he worked for the National Wildlife Federation and as Congressman Lloyd Doggett’s (D-TX) legislative assistant, handling energy, environmental, and transportation issues. Mike graduated from George Washington University with an M.A. in public policy, concentrating in environmental policy. He received his B.A. from Boston University, where he studied philosophy and music. Mike enjoys hiking, kayaking, and being in the woods. He moved to Maine in June 2014 with his wife and children. Mike has a deep commitment to getting people engaged in efforts that both energize their support for the environment and just simply gets them outdoors. NRCM Rising embodies that spirit. Greg Edwards, Bangor Greg is a staff accountant at Edwards, Faust, and Smith in Bangor, as well a part-time graphic design student. Greg was born and raised in Bangor and is a graduate of Bangor High School. He received his B.S. in business administration from the University of Maine in Orono and was president of the UMaine Green Team during his time on campus. Greg is an Eagle Scout and serves on the board of Bangor Greendrinks, ACE Mentor Program of Maine, and the City of Bangor Tree Board. His free time is spent mostly in the kitchen, on a bike, in the garden, or being lost in the woods. Sadie Lloyd, Waldo Along with her environmental ethic and advocacy, Sadie brings to the Leadership Team her experience in city planning, fundraising, marketing, and communications. After graduating with honors from Lesley University, Sadie attended the Muskie School of Public Service where she earned her Master's in Community Planning and Development. She lives in Waldo and works in Belfast as the City Planner and staffs the City Energy Committee and Pedestrian, Biking, and Hiking Committee. 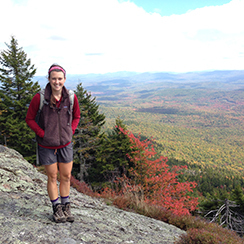 Sadie was excited to be part of the NRCM Rising Leadership Team because she is passionate about protecting the natural beauty of Maine and knows that engaging younger generations is key to keeping NRCM's important work alive in an aging state. Ellen Sabina, Belfast Ellen brought communications, marketing, and statewide organizing experience to the team. 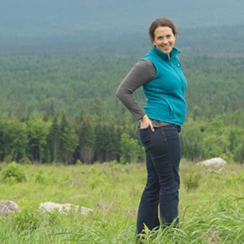 Currently the Outreach Director at Maine Farmland Trust (MFT), her previous experience includes work in development, event management, design, and coordination of diverse environmental groups on common goals. 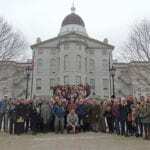 After studying at Bates and working on farms and with farmers in Vermont and Washington, Ellen settled in her home state, where she is connected to an incredible network of farmers and changemakers throughout Maine through MFT and MOFGA, where she serves on the education committee. 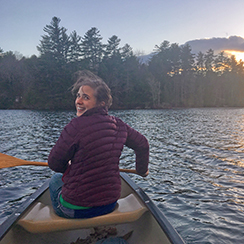 Ellen is excited to join the NRCM Rising Leadership Team to help connect the dots between all of the good work that young Mainers are doing to ensure a bright future for this beautiful place we call home. Sarah Short, Portland 2017 Leadership Team Sarah is the Development Director for the Senator George Mitchell Scholarship Research Institute, which works to increase the likelihood that young people from every community in Maine will aspire to, pursue, and achieved a college education. Prior to joining the Mitchell Institute, Sarah worked for the Union of Concerned Scientists. Sarah received a B.A. in computer science from Amherst College, and later went on to earn her MBA in nonprofit management at the Yale School of Management. Growing up in Chapel Hill, North Carolina, Sarah would escape the August heat every summer on Mount Desert Island. She was excited to be part of the NRCM Rising Leadership Team because she wants more people in our generation to know about the good work NRCM does and was excited to meet others across the state. Sarah moved to Portland in 2013 and enjoys kayaking from East End Beach. She also enjoys sailing, gardening, and snowshoeing. A licia Rea, Lewiston 2017 Leadership Team Alicia has skills and experience in community service, nonprofit organizations, and fundraising. Currently working as an Annual Giving Coordinator for Student Programs at Bates College, Alicia is a proud graduate of Connecticut College (go Camels! ), living in Lewiston. In addition to her service on the Leadership Team, she serves on the Board of Directors for the Lewiston Education Fund. 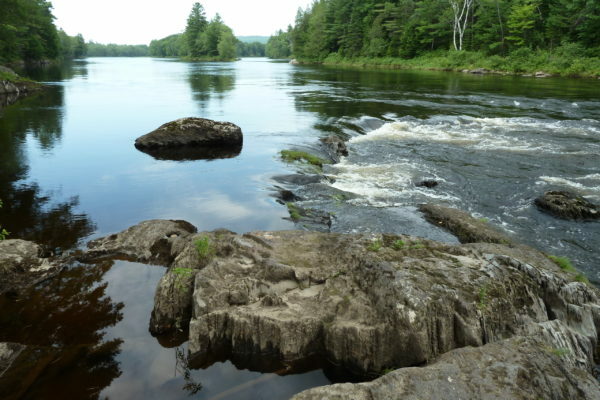 Alicia was excited to be part of the NRCM Rising Leadership Team because in her time here in Maine, she has already discovered so many beautiful, natural parts of the state and hopes to work to protect these spaces for future generations. 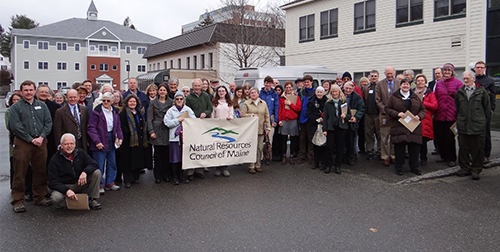 As a member of NRCM and through her involvement in NRCM Rising, she has enjoyed the networking opportunities provided while getting together in support of Maine's environment with others who share her enthusiasm in the mission. Adam Turner, Hallowell 2018 Leadership Team Adam lives in Hallowell and makes a living by renovating and renting apartment buildings in Hallowell, Gardiner, and Portland. He is passionate about the protection of the natural environment and is especially interested in preventing the growing climate change disaster. Wielding a B.A. 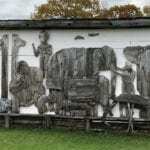 in Metaphor from Bates College, he has enjoyed many figurative careers. Adam has also worked as a worm digger, an urchin tender, a mussel farmer and with fixing, fitting and selling bicycles in all shapes and sizes. He is happiest being outdoors and in the sun, hiking in Maine's forests and mountains and sailing the waters. Adam is enjoyed working with new people to help guide NRCM Rising down a productive path that will protect the wilderness of Maine.